*** $2000 REBATE FOR CASH BUYERS * CASH PRICE ONLY, CALL FOR GREAT LEASE AND FINANCE RATES *** Rugged. Powerful. Refined. Tundra has proven time and again that it’s always up to the task. You’ll get where you’re going in style and comfort. 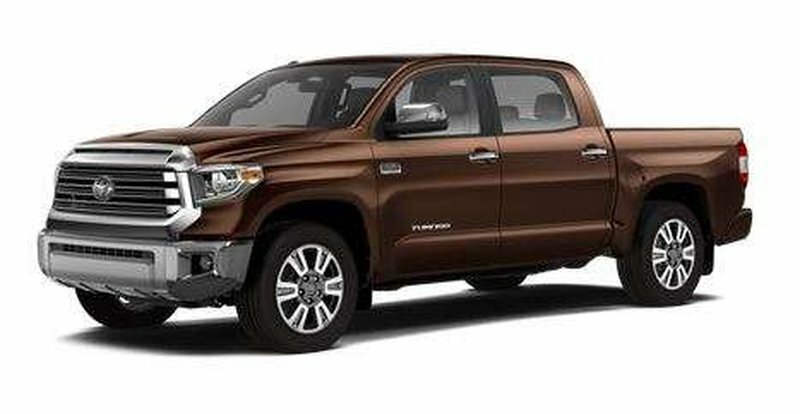 This Platinum 4x4 5.7L crewmax Tundra is the top of the line, giving you the most luxurious equipment and tons of room for 5 passengers, all with the capability of a pickup truck. Enjoy features such as 5.5-foot Cargo Bed with Bed Rails and Tie-Down Cleats, Vertical Power Sliding Rear Window, Power slide/tilt Moonroof, 12-speaker, 7 inch Touchscreen JBL Audio with Navigation, Bluetooth® Capability and Backup Camera, 10-way Power Adjustable Driver’s Seat, Premium Leather Seating, Heated & Ventilated Front Seats, LED Headlights, LED Daytime Running Lights, and LED Fog Lamps, Toyota Safety SenseTM P which includes a pre-collision system, lane departure alert, automatic high beams and dynamic radar cruise control. Also, dual zone climate control, power adjustable passenger seat, spray in bedliner and more! The 1794 package gives you Chrome Steel Front Bumper Ends, Bright Silver Bumper Centre, Chrome Grille Surround, Woodgrain & Leather Wrapped Steering Wheel, Premium Leather Seating with Suede Accents, Woodgrain & Leather Wrapped Shift Knob, Unique 1794 Edition Badging, 20 inch Premium Aluminum Alloy Wheels.